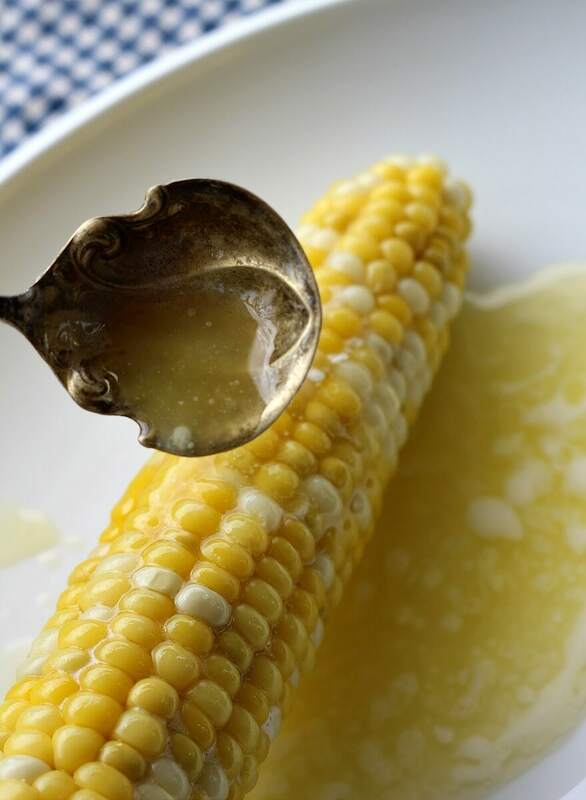 Sweet corn on the cob and sweeter butter! My favorite part of the fair is the ridiculously indulgent food. But some years I just don’t get to have any because we decide to save a few bucks and skip the fair, so I decided to make some of my favorite fair food at home. In this case the fair food I’m dreaming of is Fresh Corn On The Cob Dipped in Butter! Fresh, sweet corn on the cob is abundant at this time of year, and though we can easily have it at home it’s so satisfying to have some at our local fair, the Champlain Valley Fair. 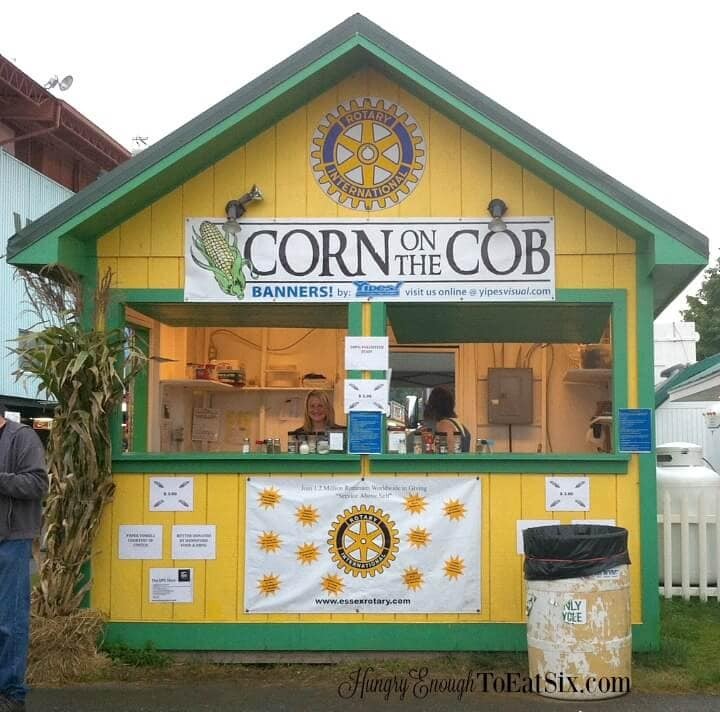 The Rotary Club runs a Corn Booth there every year. 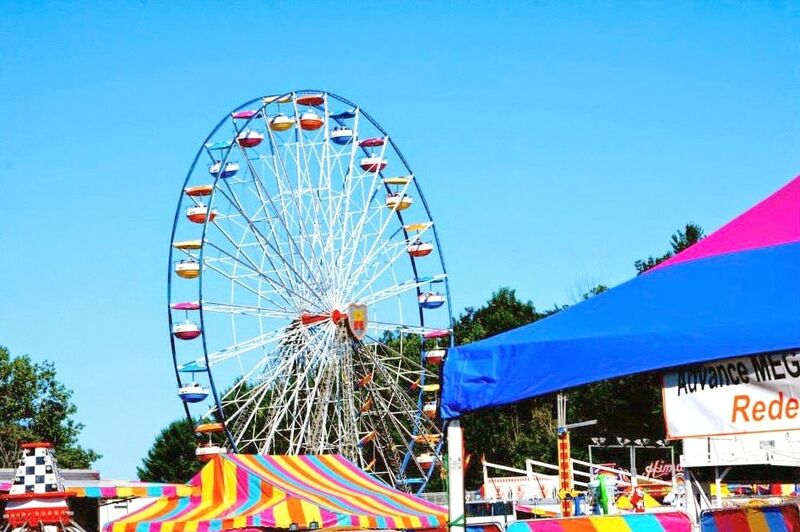 Though a lot of focus at the fair is on the rides, games, and grandstand entertainment, it is at its heart an agricultural fair. 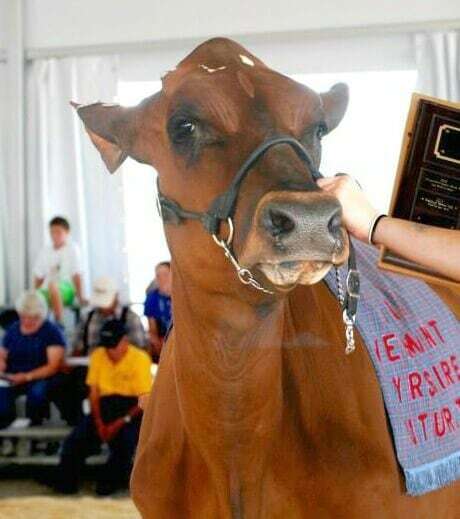 There are happy, lazy cows in the barns, fancy breeds of chickens, 4-H kids helping everywhere, sheep shearing demonstrations, horse pulls, and prize-winning produce. Having an ear of fresh, local corn at the fair is therefore very fitting. At the corn booth the ears of corn are boiled right in their husks. 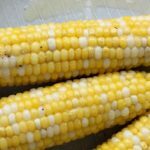 The leaves then get pulled back and tied at the bottom to make a handle, and the plump, gleaming kernels of white and yellow corn stand ready above. 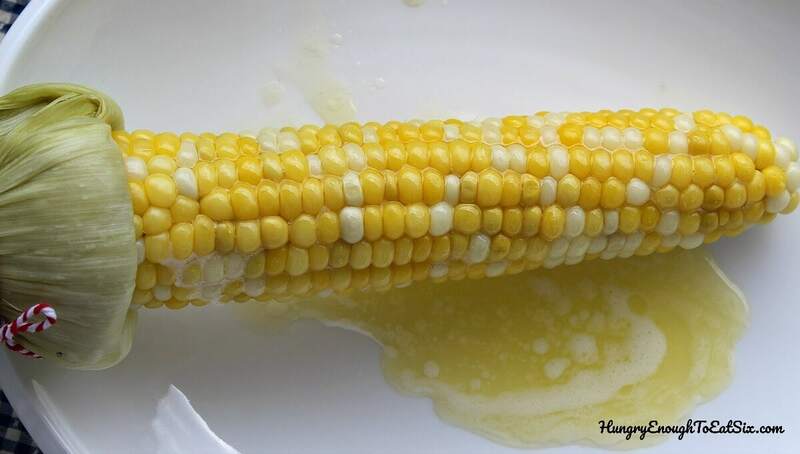 The corn then gets submerged in melted butter. The first time my husband and I had this corn at the fair was about 15 years ago on a cool, rainy evening. 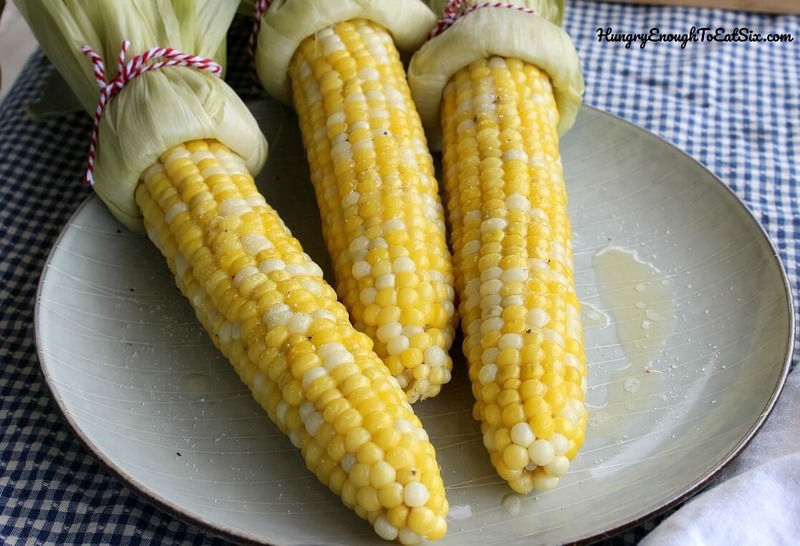 The steaming, buttery ears of corn were perfect for chasing away the damp and chill. To honor the method used at the fair the recipe below calls for the ears of corn to be boiled in their husks (the silk is removed first.) This leaves the leaves (leaves the leaves!) available for folding back into a handle, but if you don’t have a pot large enough to fit the unhusked corn, shucked corn will be just as tasty. 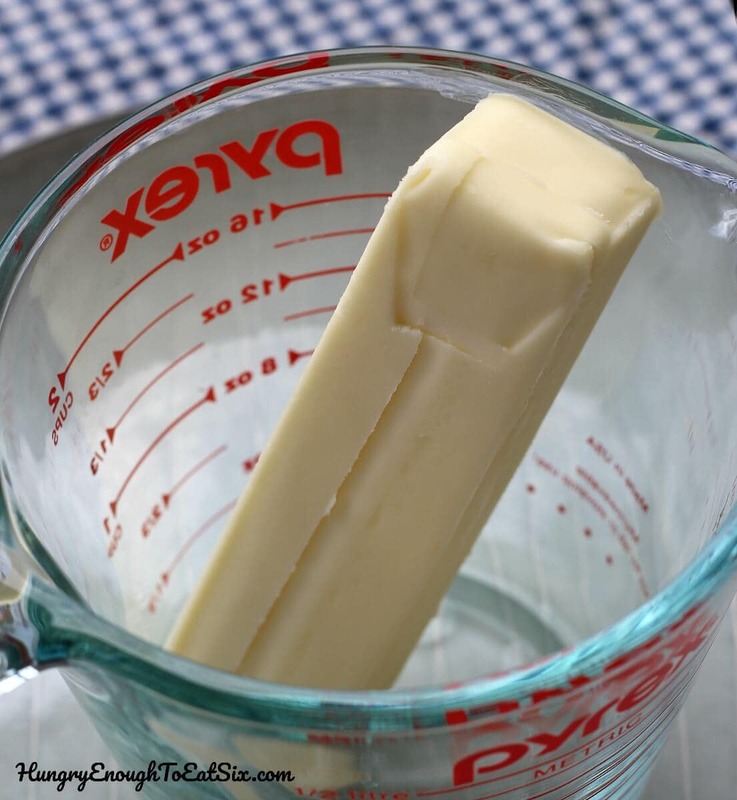 After the corn is cooked you then ladle melted butter over the whole thing – or if you’re willing to melt extra butter and pour it into a tall container you can dunk the ear! Add a generous pinch of salt and a pinch of black pepper. It’s just glorious. 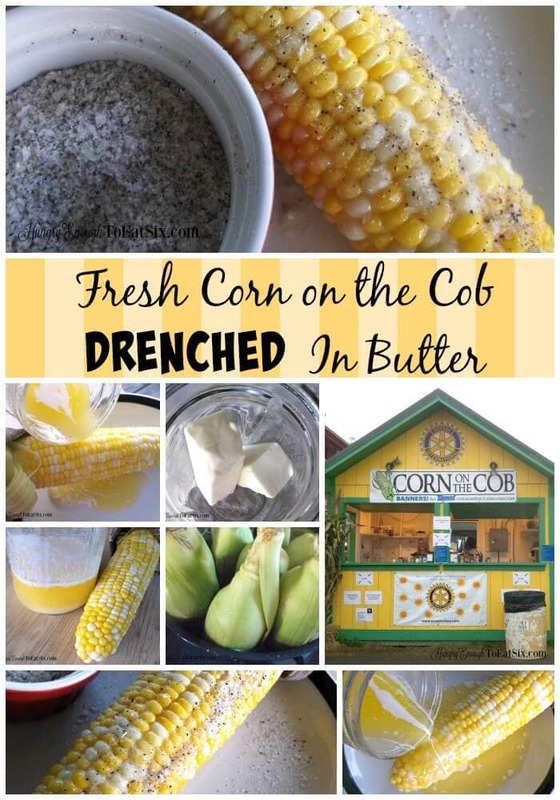 Inspired by the steaming ears of buttery corn at the fair, this recipe will walk you through getting a hot ear of corn on the cob drenched in butter! Fill a large stockpot with enough water to cover the ears of corn, and place the pot on the stove with the heat set to high. 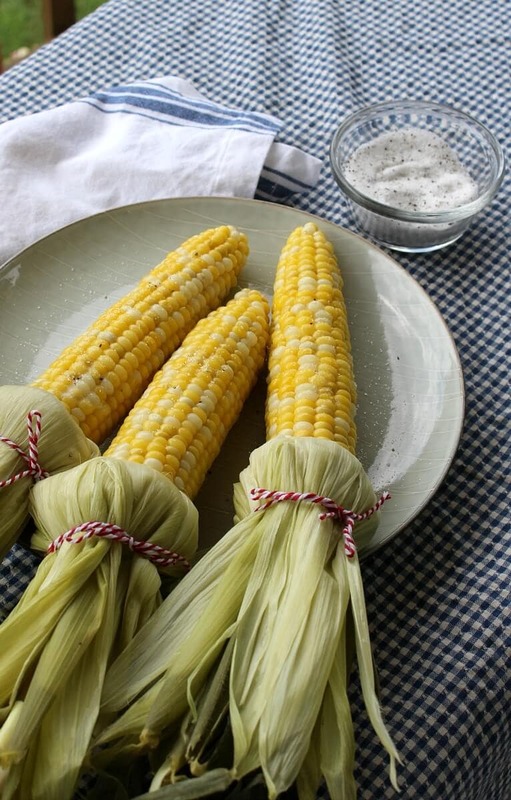 On each ear of corn, carefully pull back the leaves as far as you can without ripping or removing them to expose the silk, Remove as much of the silk as you can, then fold the leaves back up around the corn. 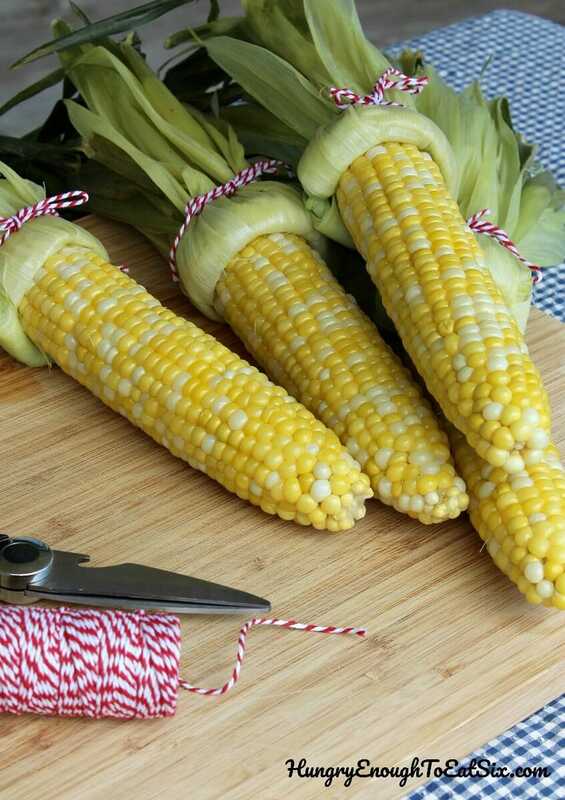 If you want you can remove one long, thin leaf and use it to tie up the corn at the top. When the water comes to a boil place the ears of corn in the water. Boil the corn for 20 minutes. Using tongs remove the corn from the water and place them in a colander to drain, angled so that the tops are pointing down to let the water run out. Allow the ears to cool for 10 minutes. 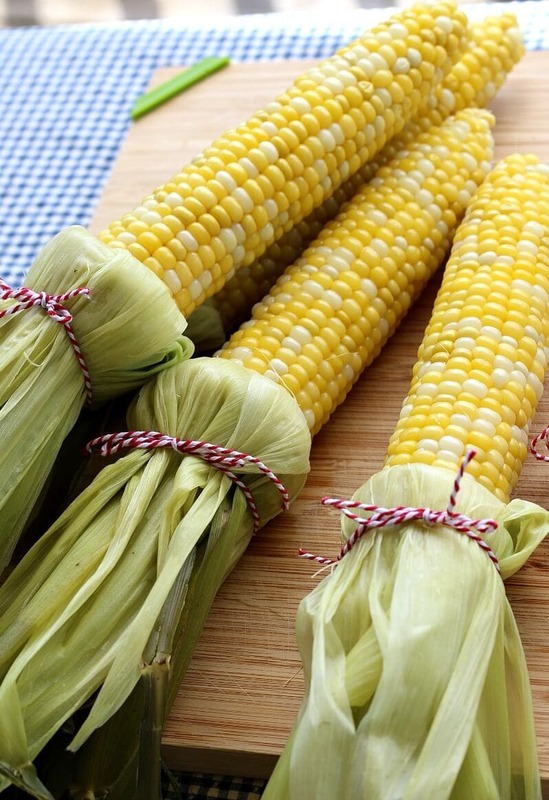 Carefully hold the ear with a potholder or towel and peel back the leaves, folding them down at the bottom of the corn. You can tie the leaves with some kitchen string or wrap them in a cloth napkin or paper towel. Now you have a handle for your corn. Time for the butter. 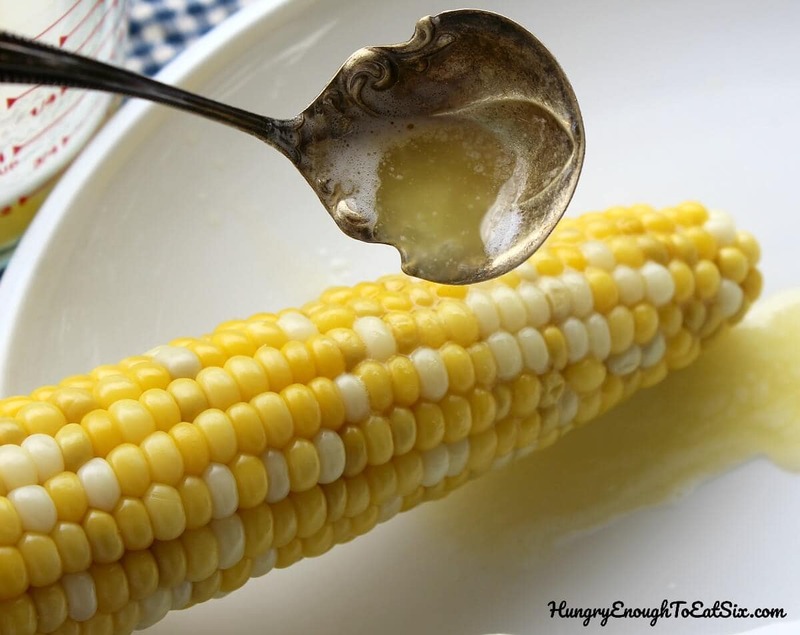 Hold the corn over a plate or bowl and ladle melted butter over the kernels, turning to coat the entire ear. 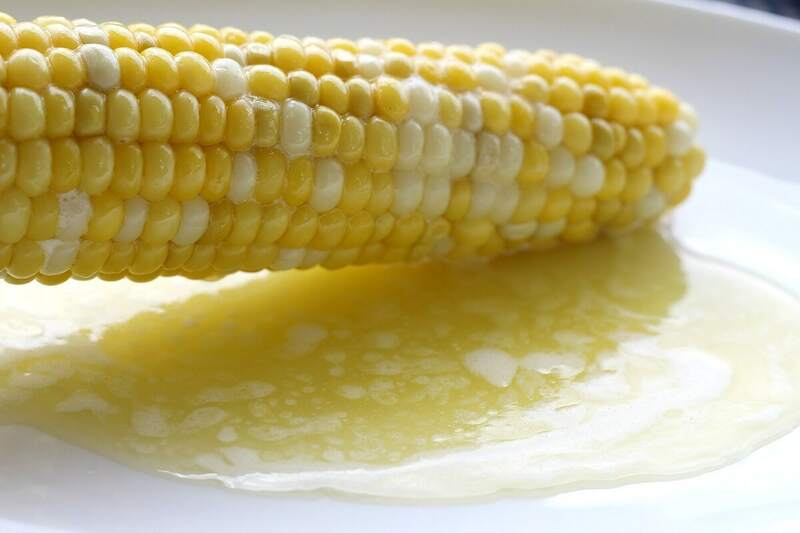 Allow the excess butter to drip off and then place the corn on plates to serve. 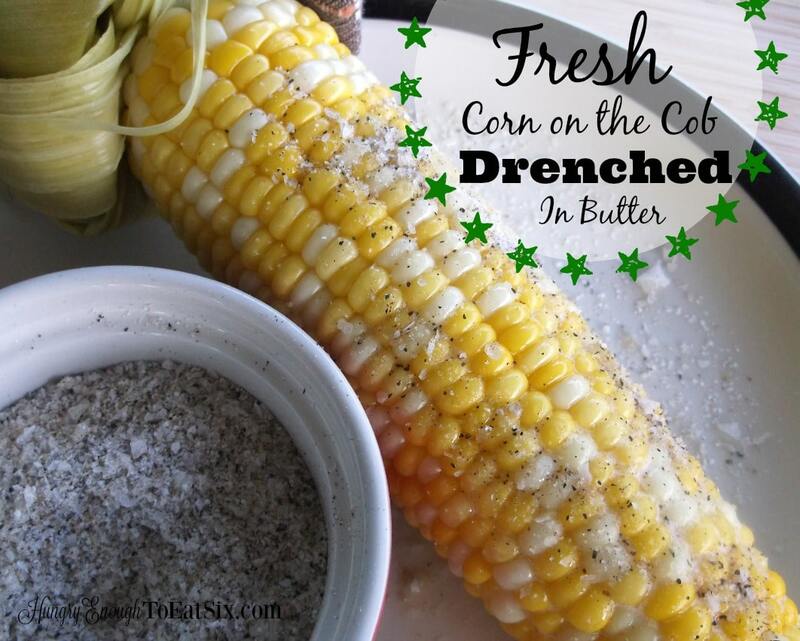 Sprinkle the corn with salt and pepper to taste, and enjoy it while it's hot! Serves 4. Click on the stars above the recipe to give it a rating! Sounds yummy. When you bite into it, does the butter go everywhere? I wrote about corn on my blog the other day. 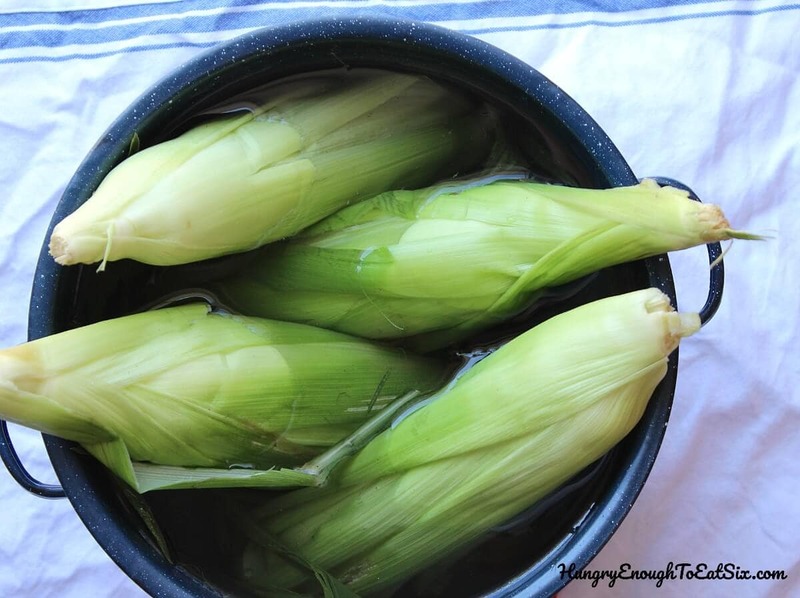 I microwave my corn in the husks and find it so much easier. I do NOT have butter on mine. 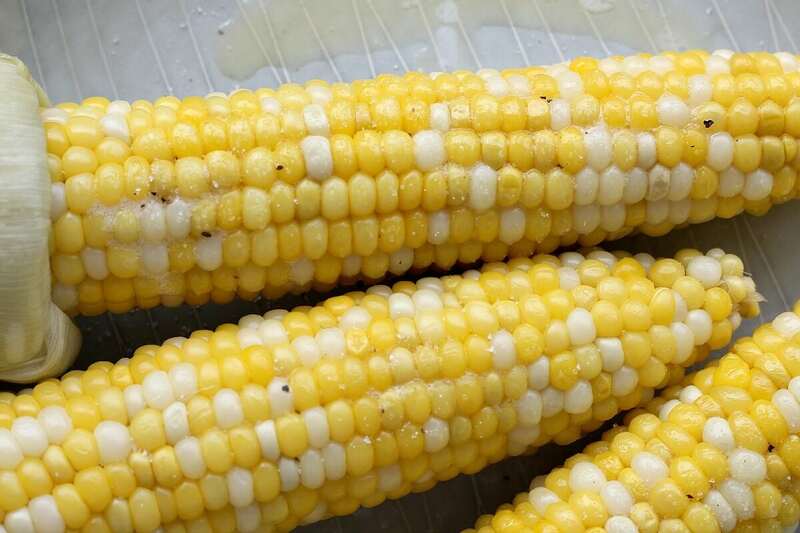 Too many calories, but find the corn just as delicious without it. I love corn on the cob!!!!! Me too, have you had it at the fair? No, but looking at those photos, I’ll have to try it next year!